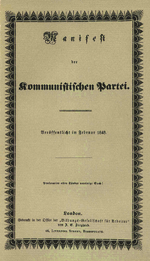 The Communist Manifesto was written by Karl Marx and Friedrich Engels. It is a political pamphlet which was published in 1848. Recognised as one of the most influential documents ever published it states, ‘The history of all hitherto existing society is the history of class struggles’. Karl Marx was a native of Germany. He was a journalist, philosopher, economist and revolutionary socialist. His writings have had a major impact on the world politics. He is regarded as one of the architects of modern sociology. Friedrich Engels was also a native of Germany. He was a journalist, philosopher, social scientist and businessman. Apart from the Communist Manifesto he was the co-author of several other works with Marx. The Communist Manifesto, which was written by Karl Marx and Friedrich Engels, was published in London in the year 1848 On This Day. The Niagara Falls are on the watercourse of the Niagara River. They lie on the border between the United States and Canada. The Falls with an average annual flow rate of 2,400 m3 per second have the highest flow rate of any waterfall in the world. The Niagara Falls stopped flowing for over thirty hours in 1848. 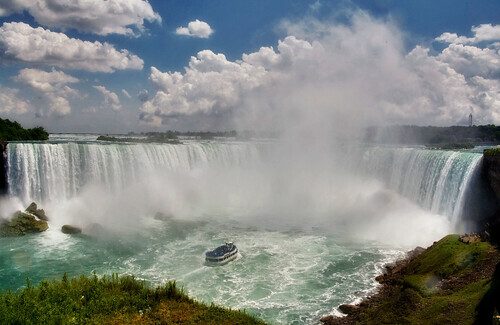 The Niagara Falls consist of three waterfalls, the Horseshoe Falls, the American Falls and the Bridal Veil Falls. The falls are of recreational, commercial and industrial significance. Twin cities, Niagara Falls Ontario and Niagara Falls New York have grown up on either side of the falls. 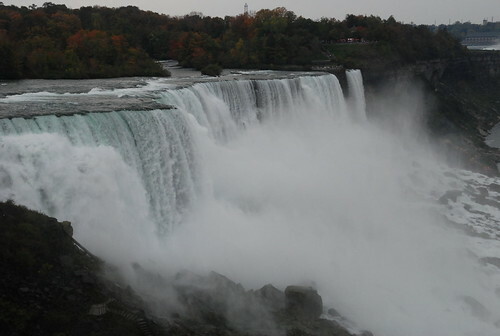 Significant amounts of electrical power is generated by the falls and they attract millions of tourists every year. In March 1848 the Niagara Falls stopped flowing. Mills and factories which depended on the falls for power had to shut down. The river bed was exposed and people walked on the river bottom. For a time no one knew why the falls had stopped which caused fear and anxiety among the local residents. Eventually word arrived that the head of the Niagara River at Lake Erie had been blocked by ice. The ice stopped water flowing from the lake into the river for over thirty hours. The ice eventually moved and the river began to flow again bringing the Niagara Falls back to life. The Niagara Falls fell silent as the flow of water stopped in the year 1848 On This Day. Augustus Saint-Gaudens was a sculptor who was a native of Ireland. He became internationally famous and created over 200 works during his lifetime. Examples of his work can be seen in institutions and public places in the United States and Europe. The Parnell monument, located at the north end of O’Connell Street in Dublin was designed by Saint-Gaudens. Augustus Saint-Gaudens was born in Dublin in 1848. His family moved to New York while he was still an infant. 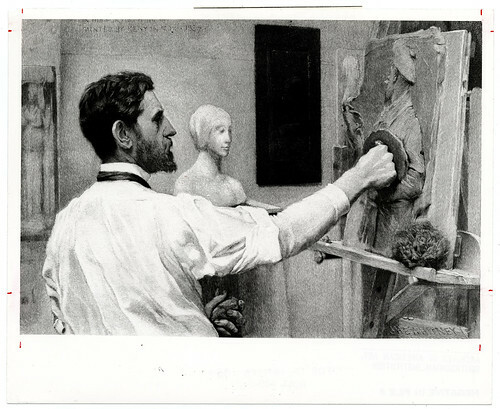 Saint-Gaudens grew up in New York where he served an apprenticeship as a cameo cutter. He later studied art and architecture in Paris and Rome. Saint-Gaudens returned to the United States where he created several monuments including the Sherman monument at the corner of Central Park in New York. He also designed coins for the US mint. He died in Cornish New Hampshire on August 3rd 1907 at the age of 59. Augustus Saint-Gaudens was born in the year 1848 On This Day. Dr Robert Cane was a native of Kilkenny, Ireland. 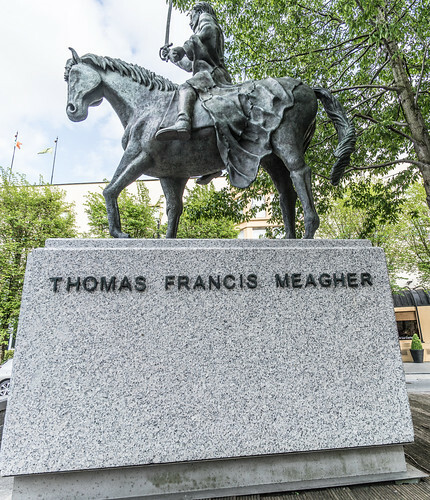 He studied medicine and established a successful practice in Kilkenny City. Cane became involved in politics and was a supporter of the Repeal Association. Though not involved in the Rebellion of 1848 he was imprisoned for a lengthy period under the suspension of the Habeas Corpus Act. 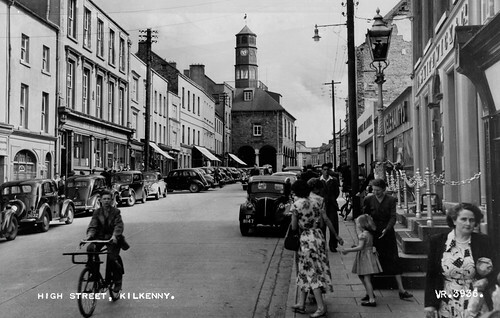 Cane was twice elected as Mayor of Kilkenny. Dr Robert Cane was born in Kilkenny in 1807. He was educated locally and then worked for a time as an assistant to a pharmacist. He later went on to study medicine at Trinity College Dublin and at the Royal College of Surgeons in Ireland. During his time at Trinity Cane became involved in student politics and attended meetings about national issues of the day. 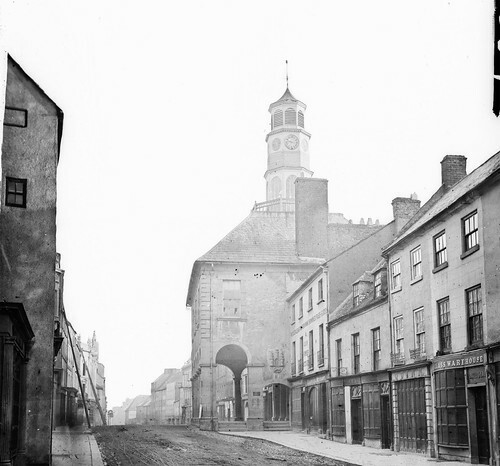 He returned to Kilkenny to give medical assistance during the cholera epidemic of 1832. Robert Cane later moved to Edinburgh where he was awarded his MD at Edinburgh Medical School in 1836. Following graduation from Edinburgh, Cane returned to Kilkenny where he set up a practice in the city. He became involved in national affairs and in local politics in Kilkenny where he was friendly with the writer John Banim. He also joined Daniel O’Connell’s Repeal Association. In 1840 he hosted a banquet for Daniel O’Connell during a visit by the Liberator to the city. Robert Cane was elected Mayor of Kilkenny in 1844. 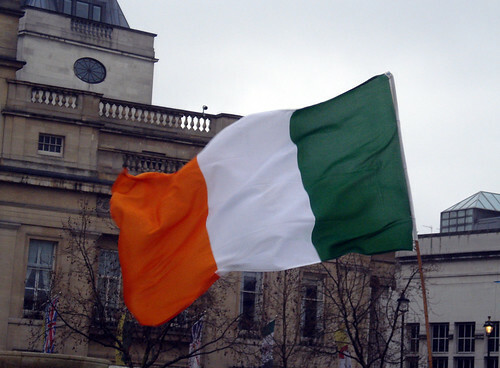 William Smith O’Brien founded the Irish Confederation in 1847 when he and others withdrew from the Repeal Association. Robert Cane joined the Confederation, however his views, particularly on the use of violence, were at variance with the Confederation and he took no part in the Rising of 1848. Despite this he was arrested and imprisoned. The Rising had led to the suspension of Habeas Corpus and resulted in Cane being imprisoned for a lengthy period. Following his release he was again elected mayor of Kilkenny. 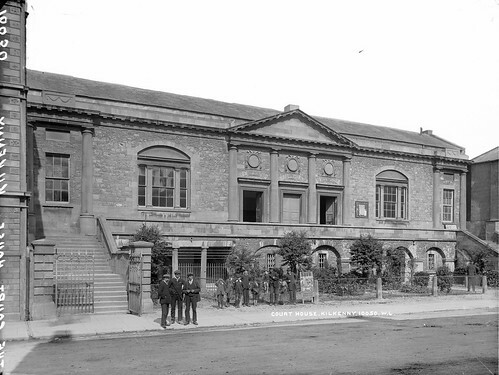 On February 19th 1849 he was one of group of people who met to establish an Archaeological Society for the ‘County and City of Kilkenny and surrounding districts’. He was eventually elected chairman of the organisation on April 3rd 1849. Dr Cane founded the Celtic Union in Kilkenny in 1853. It was a literary society with a strong political bias and intended to publish material relating to Irish history. The Union produced a magazine called ‘The Celt’ and Cane acted as editor. Dr Cane died of consumption on August 16th 1858. In 1859 a series of articles entitled ‘History of the Williamite and Jacobite Wars of Ireland from their origin to the capture of Athlone’, which Cane had written, were published by the Celtic Union. Dr Robert Cane was arrested and imprisoned following the Young Irelander Rebellion in the year 1848 On This Day.